2013 BIZ: Another GTF story? "NEVER EVER get a Premium Account"
"NEVER EVER get a Premium Account"
That is a resident speaking. A person who used to have a premium account. Something wrong here? That is not the way you want marketing to work. Even if the person no longer has a premium account, you want them recommending your product. Even if they go away, you want them to go away happy. After all, if they can't afford it right now, maybe they will be able to afford it in the future. And (this is S-tech) they will be communicating to other potential customers. You want those communications to be favorable to your product. 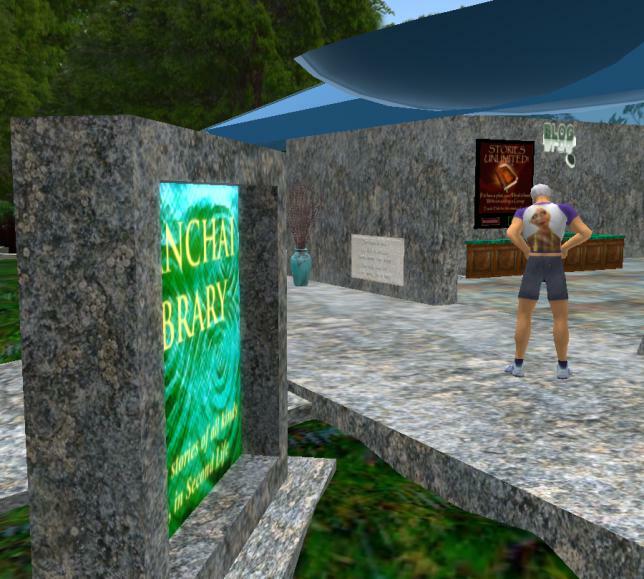 I was in SL for five years. my roommate gave me a premium account as a gift. my account, with five years of inventory, thousands of uploaded textures and all the files for my little biz was closed down. Permanently. 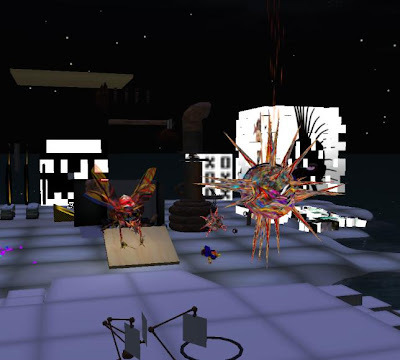 your hundreds of little Ozimal bunnies, your houses, your extensive wardrobe, all purchased exclusively from ligit SL businesses - none of that rip off crap..., your skin biz, your cool SL dog, you're dead. When you call Customer Support, if you can wait out the abysmal hold times, you will talk to someone who does not care even a little, about anything except getting rid of you. 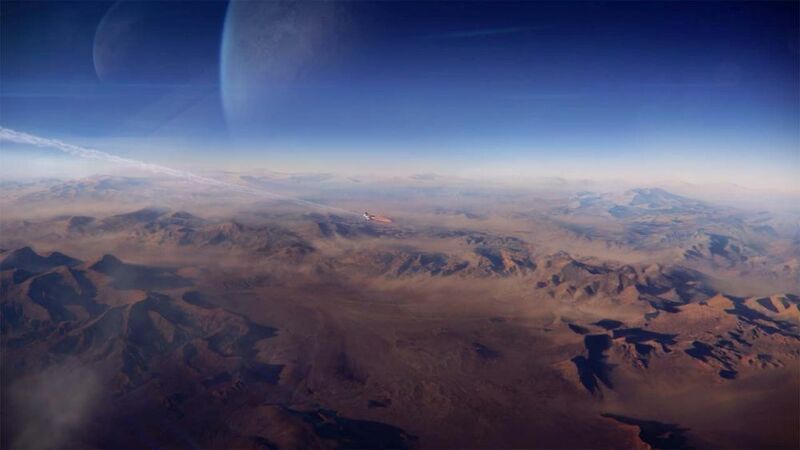 This story appeared in the Community Forums a while back. I have seen a number of similar stories in the forums and in various blogs. 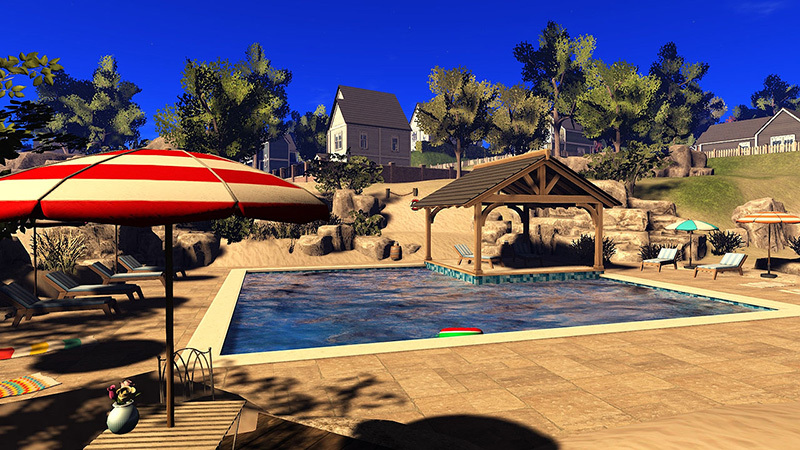 The post drew a number of posts with explanations about how Linden Lab handles billing and accounts that become delinquent. "...it is stated in the initial billing agreement that it is a continuous agreement and that the same payment method on file will be used for future billing cycles unless you downgrade to basic beforehand..."
So there your have it. 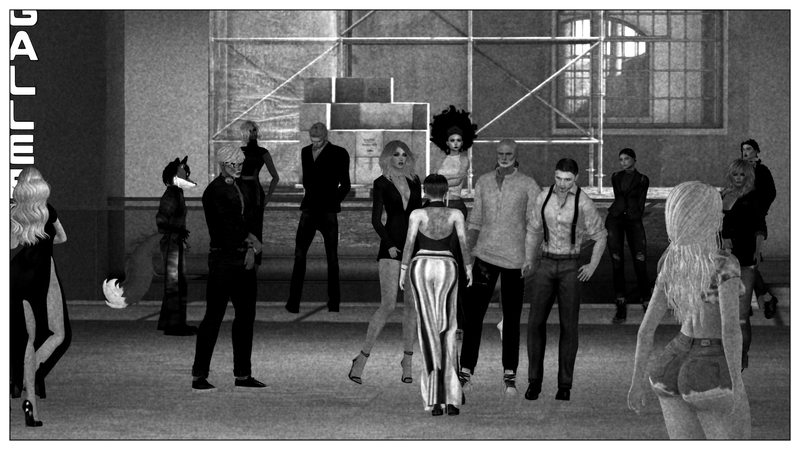 Linden Lab is in the right in its action. Who died defending his right-of-way. He was right--dead right--as he sped along. Sorry. It is not unfortunate. Not a matter of fortune at all. Amazon sends me a prior notice before shipping me a product that I subscribed for. That is not the good fortune of Amazon. It is good practice in the subscription business. Almost everyone in the subscription business does it. Even back in the era of the dead tree subscriptions, I got a notice that my subscription was about to be renwed automatically in accord with my request, along with instructions if I wanted to do something different. 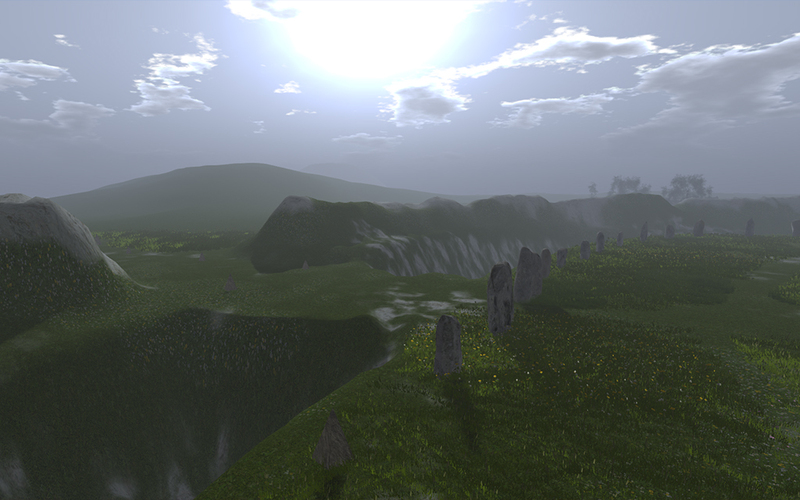 Why doesn't Linden Lab follow that pratice? I think the reason now is that they haven't reexamined the practice since back in the old days when they had more customers than they could handle. You see a problem in an organization, one of your first questions is: "Whose job is it to fix this?" And the usual answer is dead silence. Of course. If somebody owned the job of fixing it, it would have been fixed. Or that somebody would be trying to get through the obstacles to fixing it. Or management would be asking that somebody how to fix it. So how do you fix it? You find somebody you think can go it, and give them that job. We hope you have enjoyed your premium account this year. We want to remind you that your annual subscription is about to come up for renewal. If you want to change your method of payment or the level of your membership, now is the time to do it. Then you arrange to have it sent to anyone with an annual payment method about seven weeks before the next payment is due. Maybe you add a bit about what happens if the customer does not pay for the renewal. At this point, there two potential routes. If you do not pay the renewal charge at the time time it is due, you account will be suspended and you will not be able to access that account until you have paid. If you do not pay the renewal charge at the time it is due, you account will revert to a basic account and you will not be able to enjoy the benefits of a premium account. If you want to keep customers, which one would you use? "I'm still looking at being-avatar in terms of sexuality, flesh, language; I do this through the lone avatar who goes nowhere, gets nowhere. There's no plot, nothing to reveal, nothing you don't already know, getting up in the morning, looking in the period. What's staring back at you has a name." Font: Get bigger type if you need it. Typing animation: The clicks can annoy people after a while. The items boxed in red are set as I think new people probably want them. Be sure to click OK to save the settings on any preferences panel. Text not in the standard color (in green here) are likely to be live links. A click on one of these is likely to get additional information. The way you can find out is to try it. 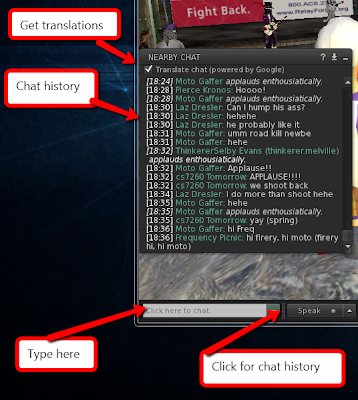 - If you set up your chat logs, you have a record on your own computer of all text conversations (local chat and Instant Message). Handy when people give you web links, names, slurls, or other detained information. Note that this panel has the location of the log file, for when you need to see the logs. 2013 PROMO: Hunting the gold, fishing for Lindens! Hunting the gold, fishing for Lindens!! 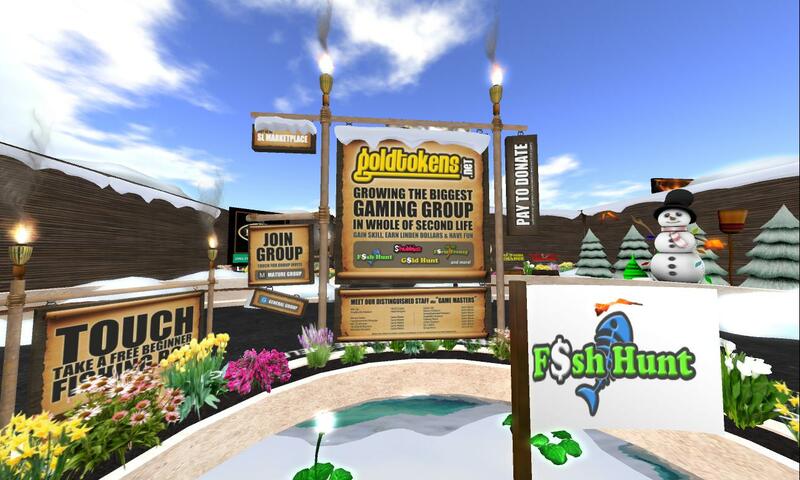 The Virtual Fishing Game is a flexible form of the Treasure hunt. 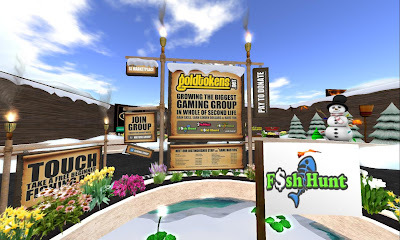 In this case you hunt for fish that can be exchanged for Linden currency. Excerpts from a a talk by the artist Kris Schomaker/Gracie Kendal. She discusses her work with "My Life as an Avatar" - a mixed-reality project/collaboration between Kris Schomaker and Gracie Kendal. 2013 HELP: Coalesced object: What is that? Coalesced object: What is that? 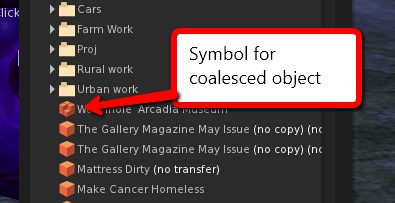 A coalesced "object" is really a collection of objects treated as a single asset item in your inventory. You can recognize it in your inventory by its special graphic, a jumble of boxes. It will normally be in your objects folder. If you rez a coalesced object (see caution below), all the objects in the collection should rez just as they were positioned when they were taken into inventory. They will not be linked into a single object, although any links that were present when the collection was taken should remain. Before you rez a coalesced object, be sure you are in a location that has enough unused prim capacity to accommodate the collection of objects. Also be sure that you are placing the coalesced object far enough from the parcel boundary that none of the individual objects will go out of the parcel. If you don't meet those conditions, parts of the coalesced object may not rez. If the object is no copy, some parts may be permanently lost. How would you get a coalesced object? Somebody might send you a coalesced object to send multiple objects in one package. A collection of objects might be returned to from land you don't own. You might make a coalesced object for easy handling. Why would someone make a coalesced object? How do you use a coalesced object? Take the separate parts if you want. Use it as one object if that suits you. Don't move or take it as if it were one object. To take or move it as a whole, see in the next section. How do you make a coalesced object? Laurel Leavitt sent me this whimsical bit. At 1:30 on Sundays in Phyllodesma, friends gather for race time at Kit Ciaco’s house. The race course goes down the public road to the railroad station and back. Last week’s winners were June Trefoil and Laurel Leavitt. There is no charge to enter the race, and free vehicles are supplied. The May 29th race will be a cart race. Free wearable carts are available now at Kit’s Wingsong Dojo. 2014 WRITE: JOIN . . . STORIES UNLIMITED! JOIN . . . STORIES UNLIMITED! How to Join: Touch "Subscribe" on the Stories Unlimited Kiosk face - it is that simple! Notecards will contain information on the who, what, and where of the stories, and also provide basic content information so you can decide if this particular story is for you. GTF model and how to treat it. 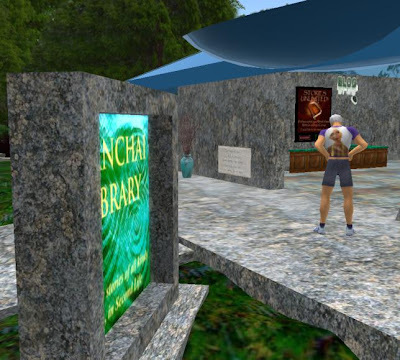 "Some recent issues with our billing system have caused some accounts to become delinquent and that has prevented those users from logging in to Second Life. We apologize to those who have been affected and for any inconvenience that this has caused." "...call our Billing Support team who is available 24 hours a day, 7 days a week." 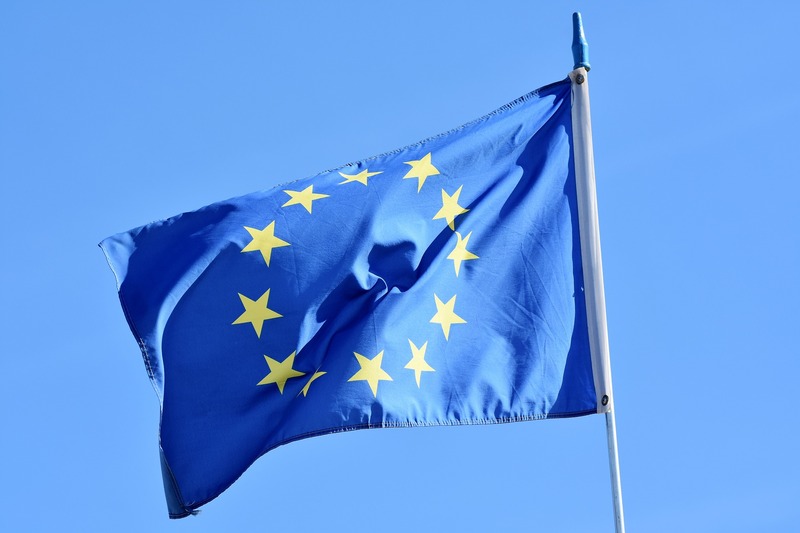 "...several new toll free numbers as an added convenience for our international customers..."
This item responds to various issues that have appeared since the cost-cutting efforts of last year. The description shows an intent to do what they need to do if they want to retain customers. It is clear that the upper management in LL understands this problem and has a good plan to solve it. The devil is always in the details. But I am reassured to see that management intends to take effective action. And I bet the team is charged with the task of recommending permanent solutions to the problems they find recurring frequently. 2013 1stHELP What's Happening Here? 2013 1stHELP: Who is near me?